This Water Safety certification class teaches how to recognize, prevent and respond to emergencies in, on or around the water. Describe risks associated with an aquatic environment or activities, such as drowning or head, neck and spinal injuries. Describe how to prevent, recognize and respond to emergencies in, on and around water. 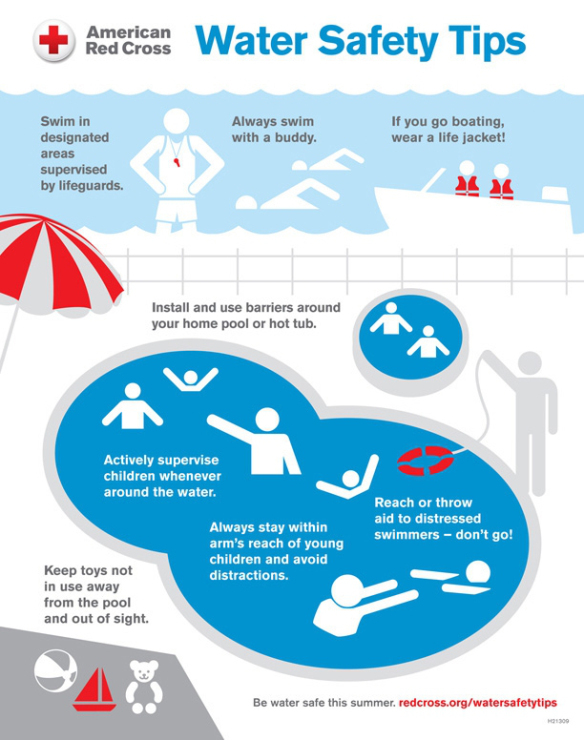 Recognize the importance of water safety training. Describe appropriate safety practices and rules that should be in place and enforced at home pools. Explain steps to take to remain safe in aquatic environments, including oceans, lakes, rivers and waterparks. Learn how to perform reaching, throwing or wading assists. Describe steps for preventing overexposure to the sun. Describe how to prevent recreational water illnesses (RWIs). Private classes are available by appointment for groups of 2 or more.